In a city like Chennai (and I think this applies to most of South India or even the whole country), anything with rice and a little orange colour is called a Biriyani. No wonder, tomato rice gets the bad name!!! Which is why when something looks and feels like biriyani, but is actually not and then to not call it the biriyani takes a lot of guts. 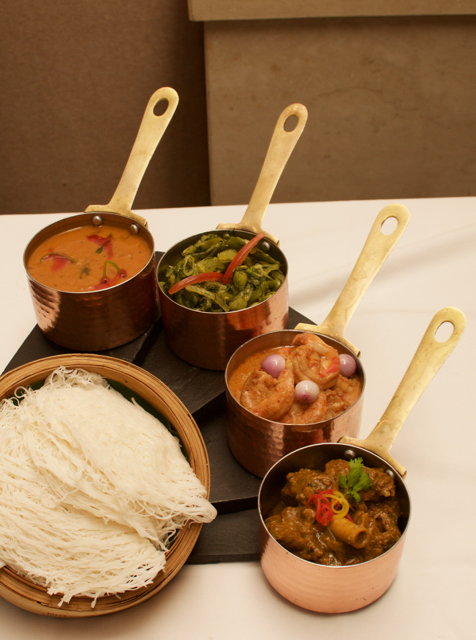 I've enjoyed the Kitchens of India series at ITC Grand Chola. Apparently they send their chefs to the homes of those being showcased and they spend about two to three weeks to really understand the cuisine before being showcased. 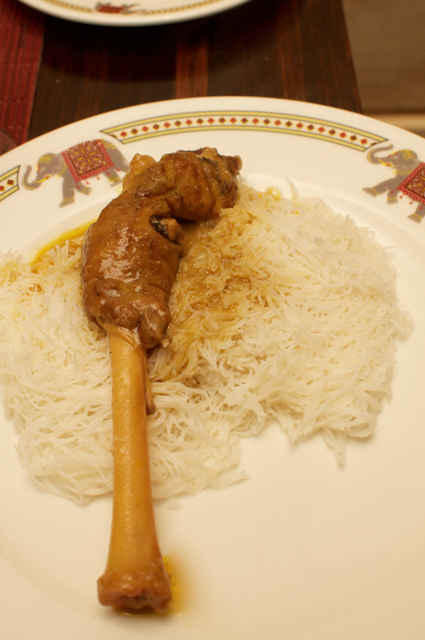 Their first one, which had the Nawab of Arcot's home cuisine was so good that I started following the series. 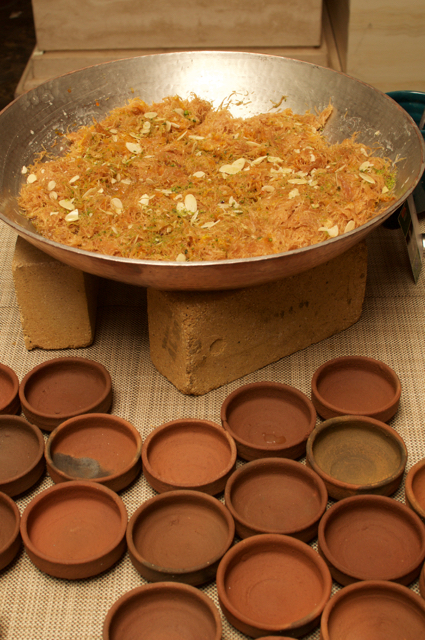 This time around, its the Navaitha Muslim's flavours being showcased. This cuisine apparently started off from Tipu Sultan's times and is an integral part of Bangalore, albeit a lesser known one. Which is why, I loved the fact that the fantastic dish, the Yakhni Pulao was called what it was called and not called a biriyani. Unlike cooking a biriyani, where partially cooked rice is finished on top of the gravy, here, the rice is cooked with the gravy from scratch. 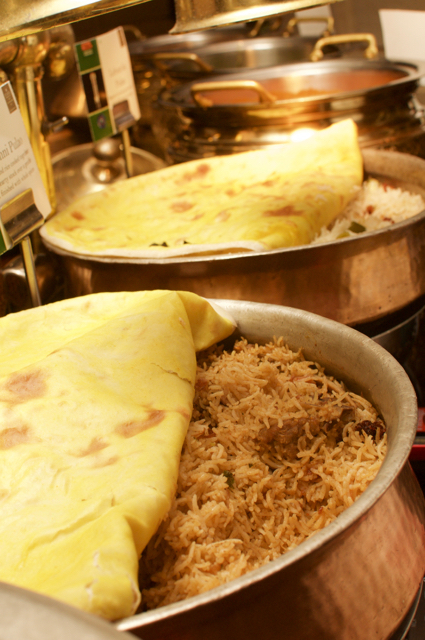 The flavours were strong and had the variety that biriyani packs. Yet, it was different and now that I learnt how it was made, I can understand biriyani a little better and how such small things can make a big difference. Moreover, I was happy it was called a Pulao. That wasn't all. The Idiyappam (string hopper) and paya was fantastic. With nice large bones and leg pieces in the paya with the perfect warmth of flavour that it normally brings, this was a beautiful dish. While I went gaga over these two dishes, there were some others that needs a mention. A beautiful green vegetable (I forgot the name)!!! It was awesome. 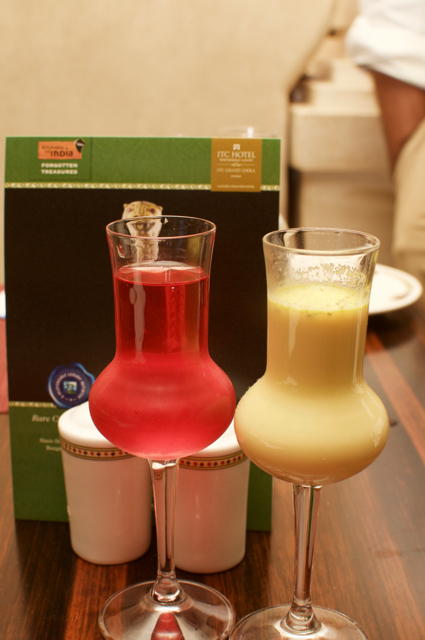 The two refreshing drinks - a rose water and at the kheer were excellent. Dessert - yum. The fabulous phirni. This was oh-so-yum! Not too sweet, just the right amount of flavour and was a great finish to the meal. Not a finish, because I ate the Seviya (I thought we spell it Semiya, but the Navaitha's call it differently), because that was yum too. I did not try the rest of the buffet. 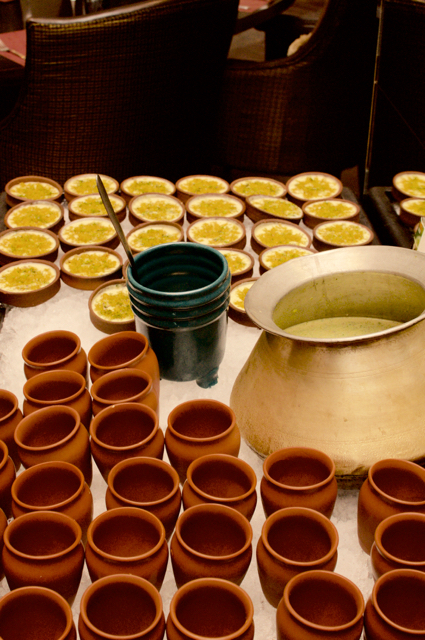 There was the usual buffet and the big dessert spread, but I was here to try the Navaithas and I loved it. This is almost like a mix of the Nawabs and the Mughals.....like the space exactly between North Indian and South Indian. No saffron in any dish, but still had flavour that seems like from the North of India. I can't wait for the next Kitchens of India festival to see what they bring back. The festival is on till the 28th of Feb and there is no extra charge for this. It is part of the buffet at Madras Pavilion, priced at Rs. 1950 plus tax, which comes to about Rs. 2300.